In the world of ag, online customer advocacy is rapidly becoming the initial research and “kick the tires” opportunity for your brand. Farmers are like us. Sounds obvious enough, but sometimes it takes some good old-fashioned conversation to remind us of that. But why should we find that surprising? Where do any of us go first to do initial research around a major purchase decision? What do we expect to see? What do we do if we can’t find other consumers sharing their opinions or experiences? We move on to the next brand. Years ago, farmers would go to trade shows to learn more details around newer products and services. But does my dad’s behavior signal that the internet is the new ag trad eshow? So, it appears the age of AgYelp (trademark pending, so don’t get any ideas) is here to stay. At first glance, our industry has always leveraged the power of a testimonial better than most. But we are not consistently making the jump to today’s need to ensure we have easily, discoverable customer advocacy content. Here are four things you can do to ensure your brand is enabling an AgYelp experience and delivering the content your customers are demanding to be in the consideration set. 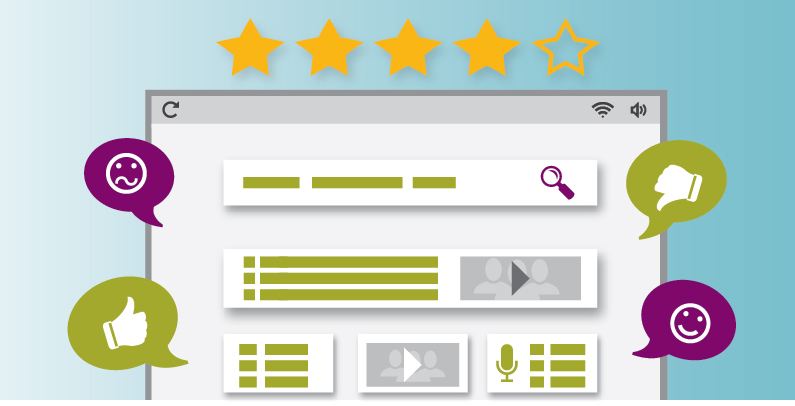 Create Conversations – Incentivize farmers to share their experiences in the form of ratings and reviews, even on your own site. Capture their name and location along with consent to use their submission. Build a landing page and make their submissions searchable by geo, product or rating. Tell Stories – Work to capture video testimonials/successes of your customers in their own words. Leverage across multiple platforms, especially with native advertising on a growing number of ag media sites. Say Thank You – A simple mailing thanking your customers dramatically increases satisfaction ratings and increases the likelihood for organic advocacy online and in the real world. Have a Message Board Strategy – Be transparent and consistent on message boards. Be willing to address negative feedback, answer questions or provide information (when asked for it). Do NOT use this as a chance to sell or push product benefits. Be a resource when farmers are looking for it, and they will welcome you. Farmer research behavior is changing and customer advocacy is your ticket to make the short list. Are you ensuring that content exists and that farmers can find it easily? Great Question Rebecca! While we all know high speed internet is still an issue in some of the more remote/rural areas, the data shows it’s getting better quickly. But that doesn’t really answer your question now, does it? I would ensure that your site and content has been optimized for mobile platforms, as sometimes 4G data on a tablet or phone is more common in those locations. Beyond that, I would look at trying to map out which geographies are “data coverage deserts”. If it’s a large enough group of potential customers, consider delivering content via more traditional means like direct mail. Perhaps a jump drive that contains some of your customer generated content can be included? And while we pointed out the strong influence of online customer advocacy in this post, we also know that a balanced approach using print, radio and other deliveries is still the best approach to building awareness and familiarity for a brand.